A computer model of the human heart is presented, that starts with the electrophysiology of single myocardial cells including all relevant ion channels, spans the de- and repolarization of the heart including the generation of the Electrocardiogram (ECG) and ends with the contraction of the heart that can be measured using 4D Magnetic Resonance Imaging (MRI). The model can be used to better understand physiology and pathophysiology of the heart, to improve diagnostics of infarction and arrhythmia and to enable quantitative therapy planning. It can also be used as a regularization tool to gain better solutions of the ill-posed inverse problem of ECG. 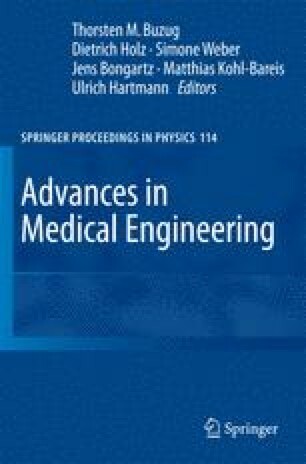 Movies of the evolution of electrophysiology of the heart can be reconstructed from Body Surface Potential Maps (BSPM) and MRI, leading to a new non-invasive medical imaging technique.